Consumers want something different. Being knowledgeable is no longer enough because everything it out there on the internet. You need to tell clients what you can offer that sets you apart from the competition. Digital marketing is only growing in engagement and users. Almost half the process however is based on how you execute your marketing strategies. 90% of prospects find custome content useful and would trust real estate professionals who provide it. 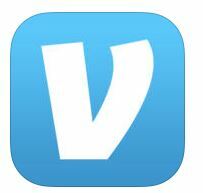 Venmo- Send money securely. Pay anyone instantly using money you have in Venmo or link a bank account or debit card in seconds. Receive money instantly and move money from Venmo to your bank account in one business day. Your personal and financial data is encrypted and protected. Pay pretty much anyone with a phone number or email, whether or not they have Venmo. Settling the dinner check among friends just got a lot easier. No need for everyone to throw down their credit cards anymore. One card pays the bill. Everyone else can send a payment through Venmo. You don’t know how much easier and convenient this is until you try it. This entry was posted in Marketing Tips and tagged app, email marketing, Hampton Roads, Marketing, RE/MAX, Real Estate, technology, Virginia Beach by remaxalliancevb. Bookmark the permalink.